An intriguing, in-depth look at the most famous home in the United States, this book introduces readers to the White House, its inhabitants, its staff, and daily life for adults and first kids alike. Lively anecdotes describe how Susan Ford once held her prom in the East Room, how the Lincoln boys planned to defend the home during the Civil War, and how Theodore Roosevelt’s son Quentin launched spitballs at a presidential portrait. 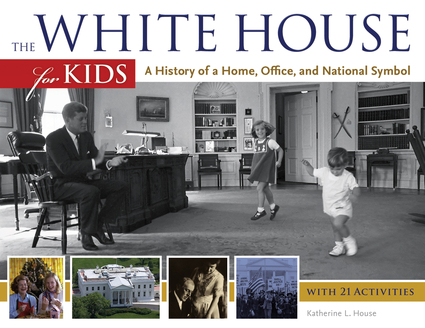 This carefully researched work–based on numerous primary sources, including memoirs by White House residents and staff members–covers the initial construction, reconstruction and various renovations of the building, the job of the president and first lady, the joys and frustrations of being a first kid, holiday celebrations and more. Resources include a time line, a listing of museums related to presidents and first ladies, web resources, a list of presidents, and an extensive bibliography. Click here for the author’s source notes.